Q: Matt, what do you think set the Nebraska program apart at the time? MS: I think we just had superior character on that team. My class saw the extreme ends of how things could be. In ’90-’91 we were getting beat pretty bad in bowl games, the national columnists and Sports Illustrated were writing things like “Loser in Lincoln” and they showed T.O. running on the field, you know? People were pretty hard on Nebraska. We couldn’t kind of get over the top, we’d get beat pretty badly in bowl games. So there was a kind of psyche that had to get beat into our heads as far as how we were going to get things done. Things like what the coaches did on defense: I think they got the right group of guys together. Philosophy will only take you so far, but you’ve got to get guys that care for each other and be willing to take it to the next level. I think character was the big thing. We had a lot of good players and we didn’t have a lot of egos. I mean, having a group of football players you’re going to have some egos, but they never got in the way of the team. Q: How was that cultivated? MS: Well, they formed the Unity Council and some of those other things that get a lot of credit for a lot of things. Personally, I think it was a good idea and helped with the organization, but it was the assembly of guys they got together. Because the same coaches were coaching guys on other teams that didn’t quite have it, as far as the unity, that team-above-self kind of attitude. That ’90 team had 3 or 4 first-round draft picks on defense and they were getting beat by 50 in the bowl game, so lots of times when it gets to the football field it isn’t about pure talent. Obviously you need guys with some talent out there, but it’s about getting guys to give themselves up for the betterment of the team, not just look for star players to make the big plays. 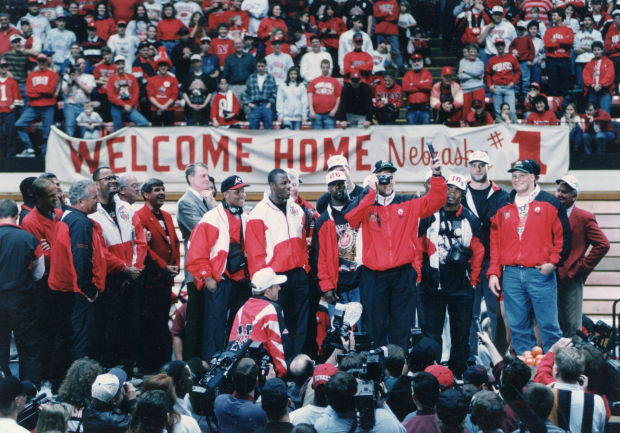 We had so many guys who were very selfless, that would do anything for the team, and that got us over the hump in ’93. 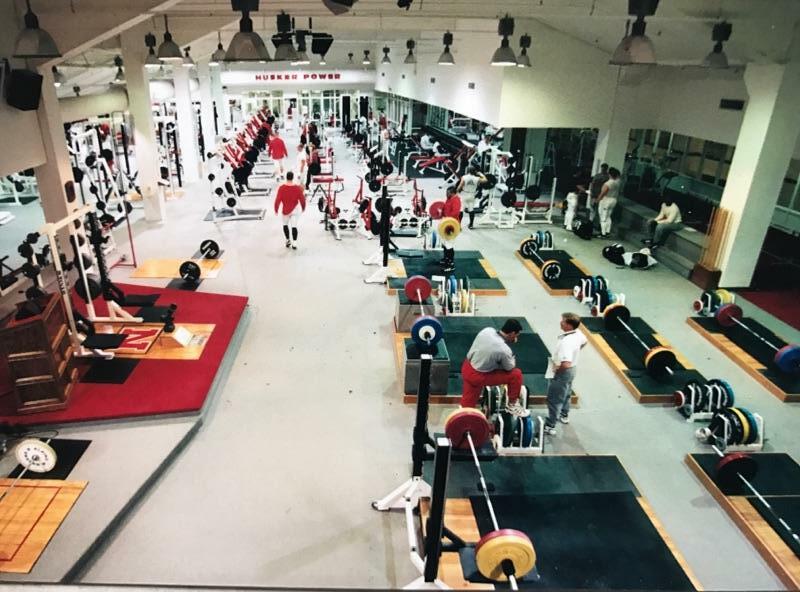 We didn’t win the national championship that year, but I give them a lot of credit for setting the foundation for a lot of the success we had in ’94, because they were one play away from getting it done in ’93. We pretty much won it that year, but we had 3 or 4 calls go against us. But in a game where you’re playing a Florida team on a Florida field in a hostile environment and if you have calls going against you -especially some scoring calls that directly had points associated with them- you know, that’s just hard to take. But I hope that those guys felt a part of all the championships although we didn’t win it that year. I hope those seniors felt like champions because they were extremely instrumental in the success we had in ’94, ’95, even ’96 and then ’97. We’d played Florida State so close, and we pretty much took it to them. We didn’t win the game but we took it to them. Those guys pretty much gave us the attitude of not to be afraid of anybody. Q: What sticks out to you about that Florida State game? MS: Oh, just how hard-fought a game it was, and how resilient we were as a team. We got ahead at the end and they kicked a field goal and we had something like 20 seconds and were able to fight through and have a chance to kick a field goal at the end. It was just a tough team. Q: You were on that field goal unit, weren’t you? MS: Yes. I remember just trying to block out the crowd. I think I remember Dave Seizys being the holder, and just trying to calm Byron Bennett as much as we could. I don’t remember a lot of guys talking. We just called the play. Really, it was about trying to focus. To joke in that situation is… is not good. (laughs) To jump and have them move a 45-yard field goal back to 50 yards? Everybody will remember your name forever for doing that. 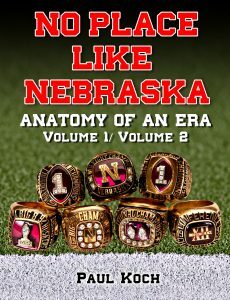 Q: The Bill Buckner, the Joe Pisarcik of Nebraska Football history? MS: Yeah! Then you’ve got these guys rushing from the other side who are really quick, and you can’t hear anything and the crowd is just roaring, so it’s a little bit of the ultimate concentration, because you can’t screw up there. And I think I remember Bryan Pruitt helping to pick me up, because I remember laying on the ground and seeing the ball go wide left and putting my head down. And he pulled me up, if I recall. Q: So a year later you’re in the same bowl game, same field, same end of the field? MS: Same end of the field. All that stuff was at that same end zone. Q: So over the course of that one year, what made a difference? What sticks out to you? MS: I really don’t think there was anything …that ’93 team laid the foundation and we just kind of continued the journey. It was the same work ethic, the same selfless attitude on the team. I think my senior class was just a real tight unit, the tightness of everybody. We had a few hurdles to get through throughout the season: we had a quarterback with blood clot problems, we had another one with a pneumo-thorax, playing our third-string quarterback against a top 10 team on their field and had two plays and we still beat them. We really had to have that ultimate unity to get that accomplished. If we had many guys doing their own thing we couldn’t have gotten through that stretch undefeated. We just had a really close group. Day by day, just keep getting after it. I think that was a special group of guys. We went through a lot of injuries that would have made a lot of teams fold. We were disappointed when people got hurt, but I don’t think we ever thought twice that those things were going to stop us from getting it done. Q: Take me into the huddle. Anything stick out to you as far as the quarterbacks and their differences? MS: Brook and Tommie just had a real confidence about them, though they were very different players and very different personalities. Not much alike outside of the huddle, but inside the huddle in a way they were very similar. Brook was really supportive in his attitude, kind of like, “Come on guys, let’s get it done.” Tommie was more kind of Commander-in-Chief-barking-out type. But both were effective, you know? I never viewed Tommie as being a jerk or not, but it was just that his style was more rough around the edges. And Brook’s was a little more -I don’t know how to say it- more encouraging. Both had a tremendous confidence in the huddle. I couldn’t have asked for better leaders in the huddle than either of those guys. They were awesome. Q: Were you one of the guys who pulled their socks all the way up, like the O-linemen? MS: No, I had my own deal. 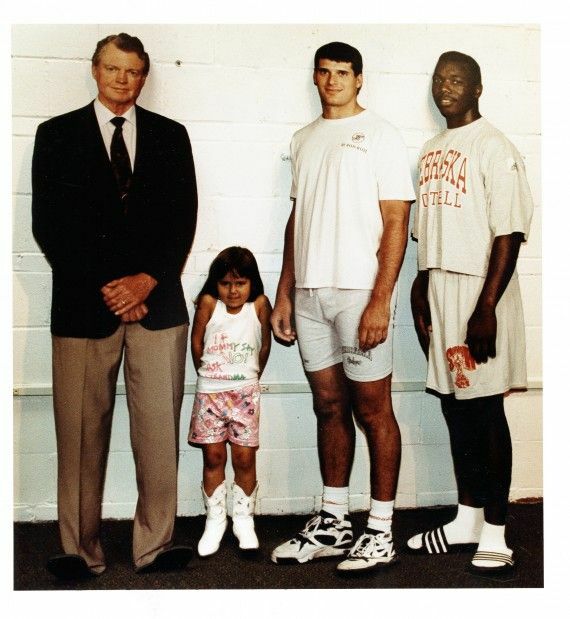 I didn’t have the biggest calves. (laughs) I don’t think the ‘socks up’ would have done too much for me. I let mine just do the old ‘down to the ankles’ thing. But, no, I didn’t have the socks up like the Pipeline did. (laughs) I think some of them did make me an honorary member. You can’t run the ball without a good tight end, so maybe they gave me an honorary membership into the Pipeline. Q: And you threw down a timely pancake, so hey, that should pass the membership requirements! (laughs) What favorite game stands out to you, otherwise? MS: The Colorado game that year was memorable. They were ranked and had some highly rated athletes with some ability. Some of them were drafted in the NFL in the early rounds, but that was another game where we had this confidence in our huddle and in our team. It’s kind of hard to explain. In athletics something like that only comes about so often, and we just, the whole season, that team was entirely focused. It’s just another example of how no one ever got rattled. We got to business, we had a good game plan and just beat the heck out of them. Q: What was the big motivator that year? Was it getting to the title game, getting over the hump? Was it the quest for the ring? What drove you guys? MS: That’s a hard one. There was a bunch of different motivating factors, and it all came down to work ethic and having success as a team. I think all the guys had little, different things as far as what motivated them. 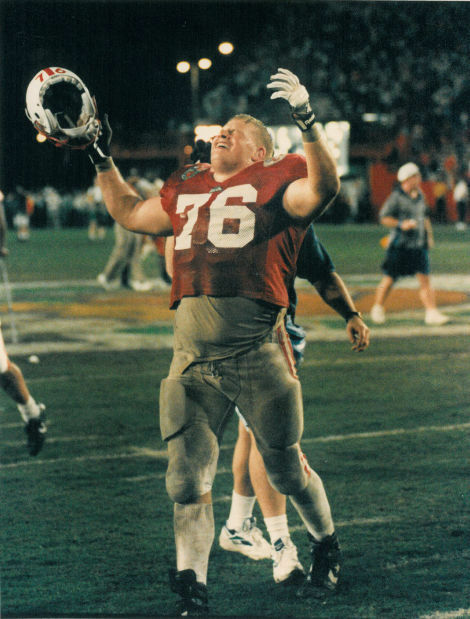 I grew up in Nebraska and watched all those games and had seen some bowl games, but my experience was a lot different than other guys. A lot of what motivated me was just the love of Nebraska football, just being a part of it. And to win a championship with Nebraska football was just the top. 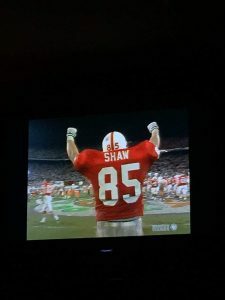 I grew up in the ’80s and we had been so close so many times, just that desire to win one for me and for the Coach and for the state… I think that was the motivator for a lot of Nebraska kids, and I think the other guys kind of picked up on that, guys who it wasn’t ingrained in. But everybody seemed to work so hard together. I think the main catalyst was just the work ethic of the team. Q: What about the coaching staff’s motivation? MS: Coach Brown was good at getting the best out of his players. I think for the guys who had a lot of success under Coach Brown, it was realizing their talents and how they could help the team, not being something they weren’t. We weren’t all going to be Johnny Mitchells, as far as playing tight end. But there were things each player could do to contribute to the team. Being comfortable in your own skin was big. 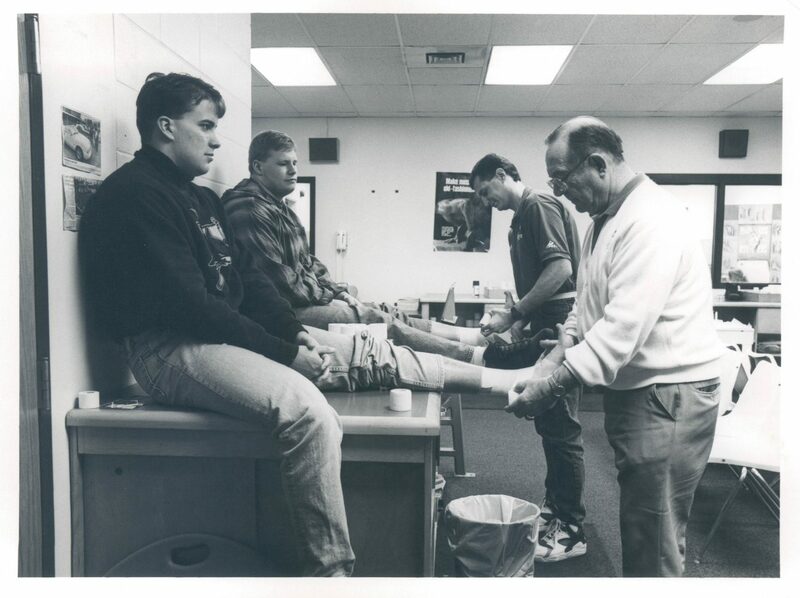 He was really good at allowing players to realize, “How can I contribute to this team?” It’s one thing to say you would work on the skills, but just knowing what kind of player you were and to play within yourself, he was a master motivator. I think a lot of times players get too caught up in what they can’t do than in what they can. For the tight end position my senior year, with Mark Gilman and Eric Alford, I played a lot of snaps, but when Eric came in he was more of the deep receiver threat. Vedral, he was a gifted athlete running and catching. Gilman was a little bit of both. And Coach had a way of making all of us feel that we were part of the team. There was never any animosity as far as other guys getting time. I’d been on some other teams where some guys were a little bit in conflict with playing time, but us three played in total harmony that whole year. The beginning of the spring and in the fall camp was something where the media had a big question mark, as to how all that was going to work out, and I think it ended up being a huge strength for that team, which was unanticipated. Put together, we were a pretty darn good force at tight end. It was pretty cool. Q: Any good practice memory? MS: I don’t know why I want to tell stories about fights. (laughs) More than likely they’re all scout team stories: Joel Wilks always wanted to fight with everybody. (laughs) One time we were walking back to the huddle and Joel was getting throttled by five Blackshirts and we said, “Joel, you’re on your own, man.” (laughs) It was always his own doing, though. It was just competing on every play and getting in fights. I think he made an impression on the coaches and took it to another level. He was a really good guy, though. He was probably one of the most well-liked guys on the team, but every day he would get into fights.